Boeing has reorganized its sales operations as part of a push into services that has helped it take a lead over rival jet maker Airbus this year. Boeing set up a standalone division in 2017 to build a $50 billion business in services for the civil and defense aircraft. These can include repairs, crew rostering, parts and even wind forecasts. It previously offered fewer, more dispersed services. Now sales of jetliner services have been brought under the same umbrella as plane sales, headed by senior vice president Ihssane Mounir, Boeing Co’s overall commercial sales chief. The previously unreported move, which started late last year designed to increase the number of deals and boost profits as it will make it easier for Boeing to sell high-margin services at the same time as it sells planes. The change comes as airlines try to keep a lid on costs by planning jet purchases and long-term operations together. “We approach the campaigns in a much more comprehensive way than we have ever done before” said Mounir, whose role was expanded to include responsibility for jetliner-related services across the group. Though Mounir will oversee certain services sales, income will still be reported under the Boeing Global Services unit. Boeing has sharpened its sales offensive by deploying both Mounir and Commercial Airplanes CEO Kevin McAllister, a former General Electric steeped in analytics. 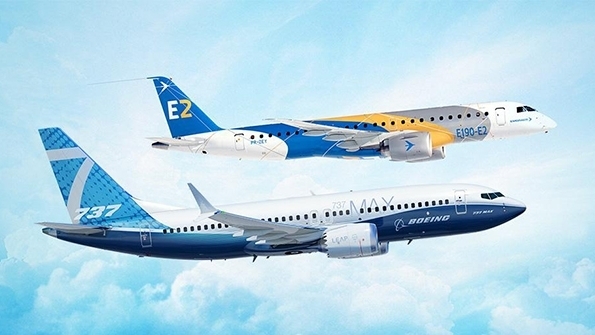 Following months of negotiations, Boeing and Embraer have signed an MOU to set up a joint venture(JV) comprising Embaer’s commercial aircraft and services business. The non-binding agreement, announced July 5, sees Boeing to take 80% stake in Embraer’s commercial operations, while Embraer will control the remaining 20%. Management of the new company will be based in Brazil and will be led by a president and CEO who will report to Boeing CEO Dennis Muilenburg. Boeing will “have operational and management control of the new company,” it said. The companies expect the transaction to close by the end of 2019 following all shareholder and regulatory approvals, including support by the Brazilian government. Separately, the two companies announced they will also cooperate in developing new markets and applications for defense products, most notably, the K-390 military transport aircraft. For these activities, another JV will be set up. 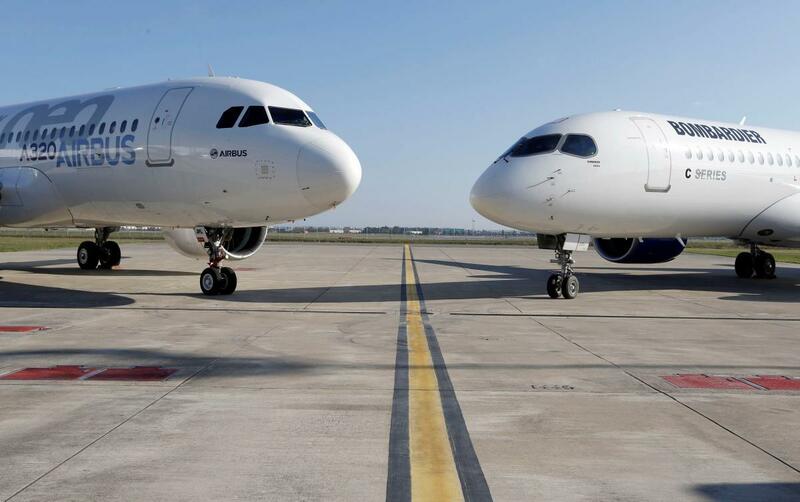 Airbus and Bombardier confirmed the transaction transferring majority control of the Series program to Airbus was completed as scheduled on July 1. Under the terms of the agreement reached in October 2017, Airbus now owns a 50.01% stake in the Series Aircraft Limited Partnership(CSALP), Investissement Quebec owns approximately 34% and Bombardier holds 16%. CSALP’s head office and primary Series final assembly line will remain based in Mirabel, Canada. Philippe Balducchi, who formerly was Airbus Commercial Aircraft’s performance management chief, has taken over as the head of CSALP. The 110-150-seat narrow body aircraft, which is available in two variants (the CS100 and CS300), will immediately become part of Airbus’ portfolio. Bombardier has indicated its primary focus will return to the regional aircraft market and its CRJ and Q400 programs. Airbus has painted its first BelugaXL freighter in a distinctive beluga livery chosen by its employees. The initial aircraft—formally designated the A330-700L—registration number WBXL. 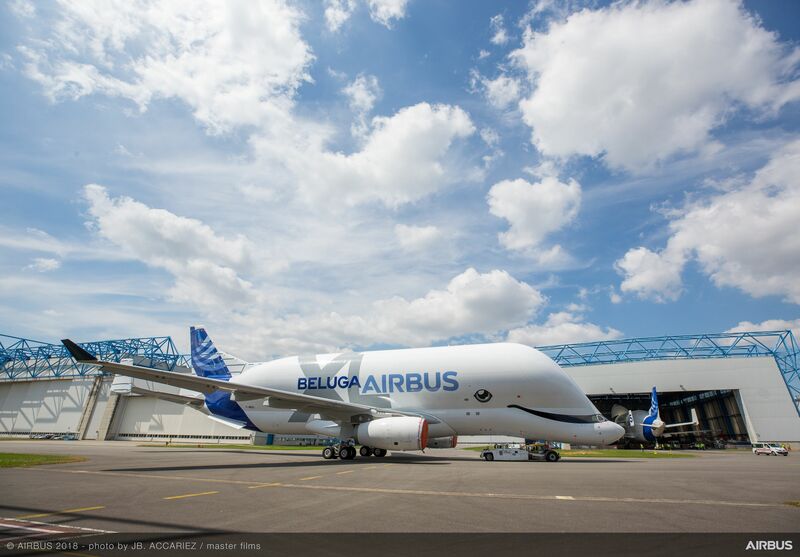 It is one of five BelugaXLs, fitted with Rolls-Royce Trent 700 power plants, which will be manufactured to replace the A300-600 ST Beluga fleet. The First aircraft is due to commence flight-testing this summer. Airbus will introduce the BelugaXL to service with its logistics and specialized transport arm next year. The aircraft will be capable of carrying two A350 wings simultaneously. 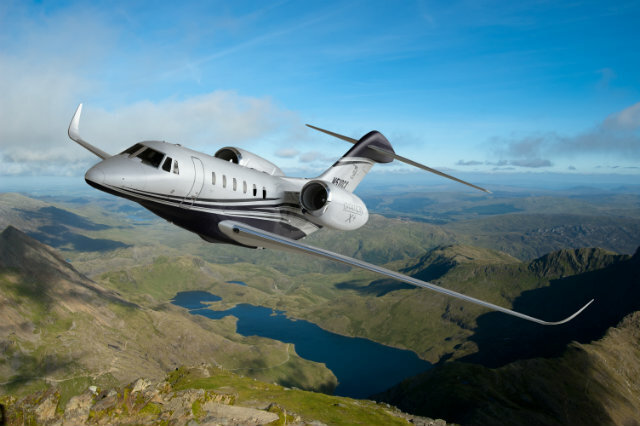 Textron Aviation calls time on Citation X after a 22-year run. The announcement follows several years of low delivery output for the Rolls-Royce AE 3007C-powered all-metal aircraft—the fastest business jet on the market with top speed of Mach 0.935. It will be replaced by the slower but larger cabin Longitude as Cessna’s only super-midsize offering. Certification and service entry of the 10-seat twin are scheduled for this quarter. Textron Aviation does not disclose when the final CitationX+ will roll off the production line, however, the Wichita headquartered airframer says it “continuously monitors the market as it fluctuates and adjusts its product offerings and adjusts its product offerings as necessary”. Flight Fleets Analyzer records annual deliveries of eight examples of CitationX+ in 2015 and four each in 2016 and 2017—significantly down on the model’s 2000 peak of 37 units. The Company says the Citation X “has become a beloved aircraft by operators and passengers alike,” with 338 examples delivered globally: 314 of the X and 24 of the X+ model. 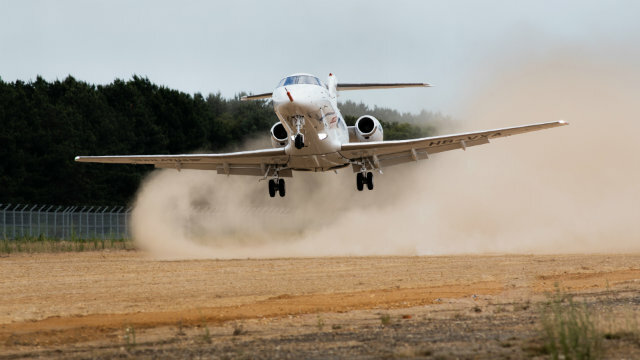 Pilatus Aircraft’s PC-24 made its first landing on an unpaved runway on June 19, following the arrival of flight-test aircraft P01 at Woodbridge airfield in the UK for a two week program of rough-field approval testing. The PC-24 is designed to take off from and land on runways of only 2,810ft (856m), including grass and gravel strips. 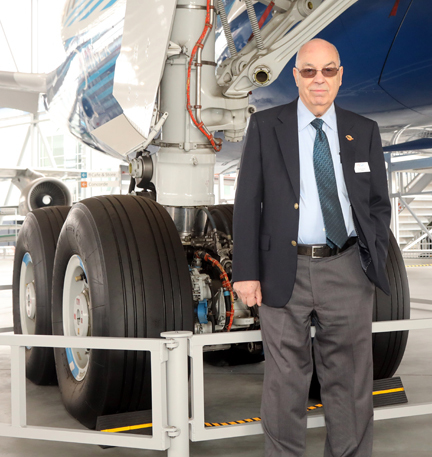 This feature gives the aircraft access to cover 20,000 landing sites around the globe. The Swiss airframes sold 84 positions within36h of the order book opening in 2014.A second order round is planned for 2019. 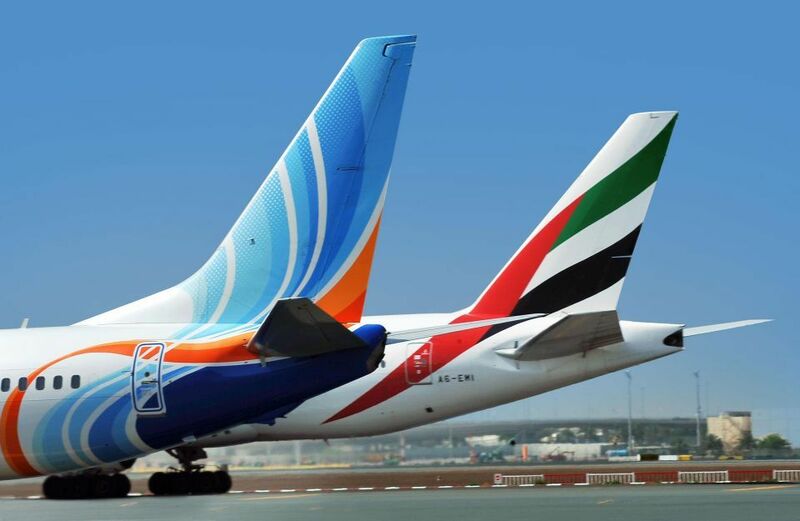 Dubai-based LCC flydubai has deepened its partnership agreement with local full-service carrier Emirates Airlines by adopting the Emirates Skywards product as its loyalty program. The agreement. announced in July last year, incorporates codesharing, but also includes several initiatives spanning the commercial, network planning and airport operations fields. Under the adoption of Emirates’ loyalty program, members of flydubai’s OPEN loyalty program will be enrolled into Emirates Skywards from Aug. 1. They will accumulate Skywards Miles and tier points when traveling with either airline. 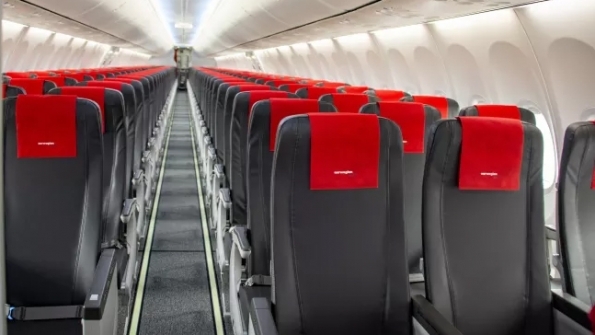 LCC Norwegian has introduced its first Boeing 737 MAX with a cabin featuring new slimline seats that the airline says are designed for more comfort on longer routes and will give taller passengers more personal space. Norwegian is installing the new Recaro BL3710C seat on its latest aircraft. The leather seats have 30in seat pitch and are 16.8in wide. The airline says that the new seats are designed to add space at knee-level. Norwegian claims it is the first airline to install the new seat. Norwegian has more than 100 Boeing 737 MAX on order and will take delivery of 12 this year. Each seat weighs around 10kg-1kg (2.2lbs-0.45 lbs) less than the seats they replace, which reduces the weight of the aircraft by more than 200kg(440lbs) overall, improving fuel burn. 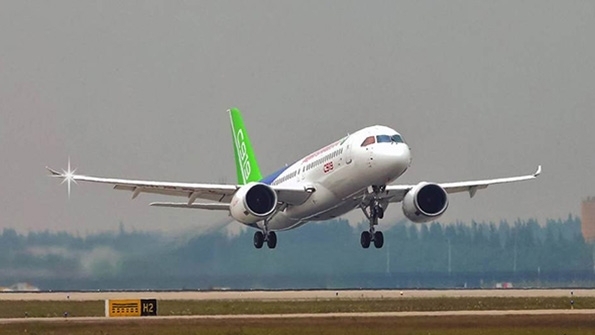 The first two Commercial Aircraft Corp.of China (COMAC) C919 flight test aircraft returned to the air on June 22 after weeks on the ground for what industry sources described as modifications. The development program for the narrow body airliner is proceeding according to plan, COMAC said when announcing the latest flights. ”Developmental test flights, static tests, and on ground, post-sortie onboard tests and optimization are being carried out inane orderly manner,” the state manufacturer said. The first prototype, unit 101, is at Xian, a northwestern city where program supplier Aviation Corp.of China (AVIC) has a flight-test base; the aircraft flew for 3hr.10 min. on June 22.Aircraft 102 is at Shanghai, the location of the program’s final assembly plant; its latest flight lasted 1 hr.34.min. 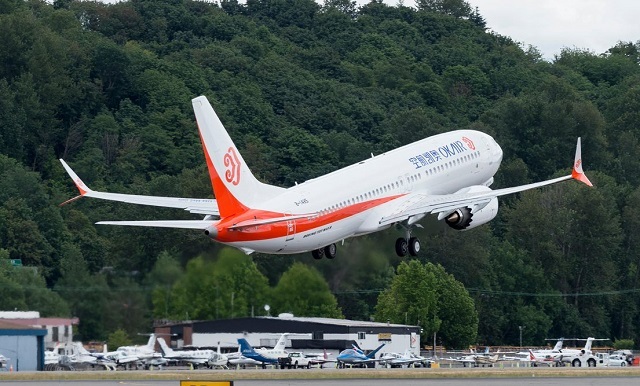 Unit 101 has been modified on the ground and undergone strength calibration, COMAC said, without referring to the duration of the period of non-flying. Work also included modification and calibration of the water ballast system used in flight testing. For Unit 102,COMAC said such tasks as checks on stability control have been completed. That aircraft will shortly move to COMAC’s test base at Dongying, in the eastern province of Shangdong. COMAC said it is trying to make the first C919 delivery in 2021, following achievement of airworthiness certification in 2020. 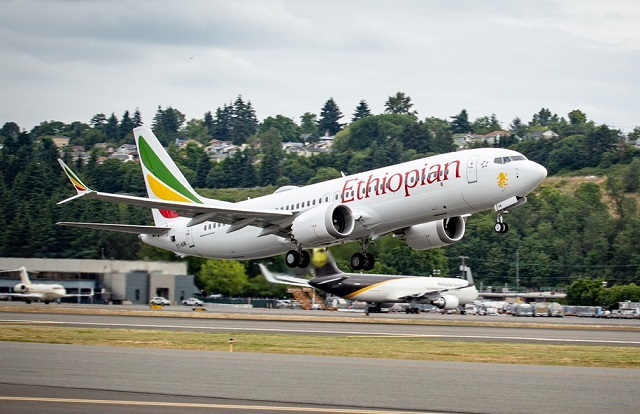 Ethiopian Airlines has taken delivery of its first of 30 Boeing 737 Max aircraft on July 1. Iberia took delivery of its first A350-900 incorporating a “wing-Twist”. The wing twist was originally introduced on the A350-1000 and will become standard on all A350s. Aegean Airlines has firmed up an order for 30 Airbus A320neo covering 10 A321neos and 20 A320neos. GOL of Brazil has taken delivery of its first Boeing 737 Max 8 which was financed under a sale-and leaseback with DAE Capital that it finalized in early 2017.The deal also covers four more Max deliveries this year. Jet Airways has disclosed that it is purchasing 75 additional Boeing 737 Max jets. The airline has already taken delivery of its first of 150 737 Max airplanes Jet has on order with Boeing. HNA Group of China has signaled its intention to add 200 Comac C919s and 100 ARJ21s regional jets to its group fleet under a commercial pact struck with COMAC. 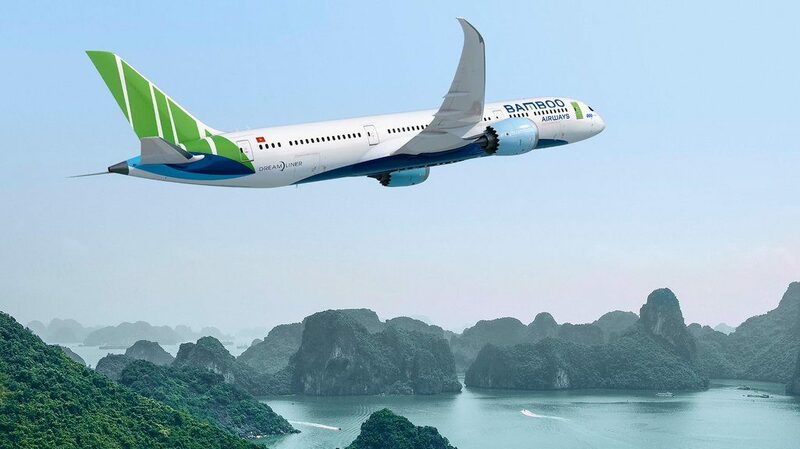 Bamboo Airways proposed Vietnamese startup airline has booted its fleet plans with a major commitment for 20 Boeing 787-9s, with deliveries tentatively set to occur in April 2020. Bahamasair has agreed to purchase a Boeing 737-700 from AerCap with delivery of the aircraft expected in December of this year. 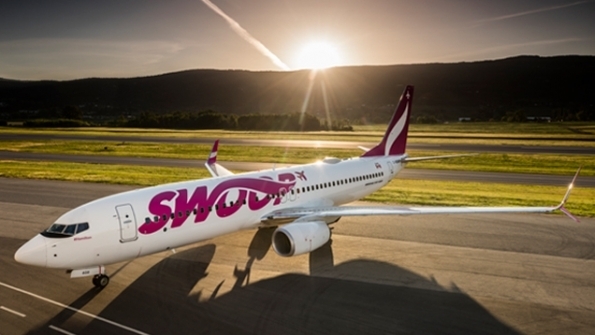 WestJet ULCC subsidiary Swoop took to the skies on June 20 with an inaugural flight from Hamilton to Abbotsford, marking the next major development in what is an expanding Canadian Low-cost airline scene. Okay Airways has taken delivery of the first of 10 Boeing 737 Max 8s it has on firm order. 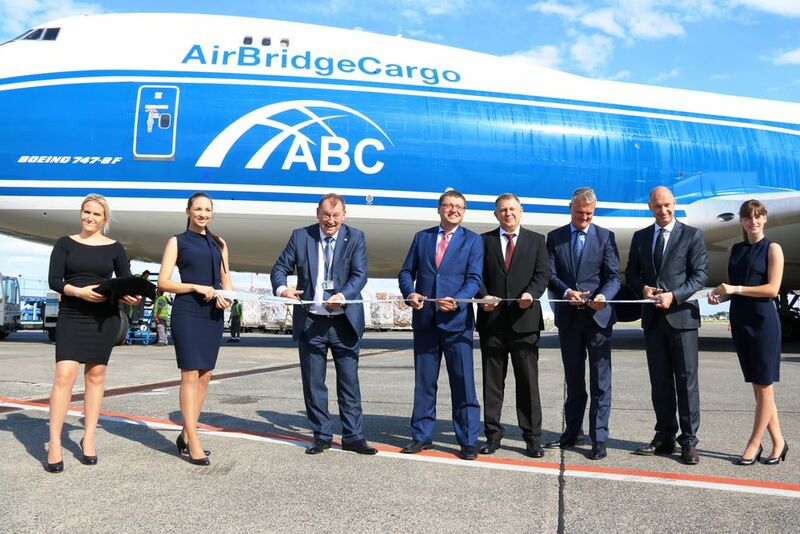 AirBrigeCargo (ABC) Airlines has added a twice-weekly call at Budapest airport to its schedule as it looks to continue growing Asia-Europe volumes. The new service will deploy Boeing 747 fighters and will operate on Tuesdays and Saturdays offering 139 tons of capacity on each flight. Sergey Lazarev, general director, AirBrigeCargo said: ”Budapest has been expanding at a fast clip, upgrading its facilities, infrastructure, and solutions for freighter carriers and following a cargo-friendly strategy”. 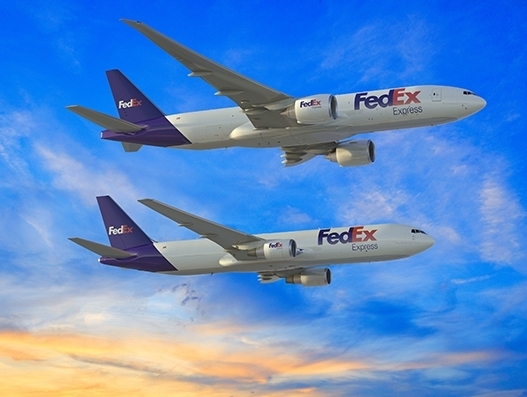 On June 19,2018 Boeing and FedEx Express announced a new order for 12 767-300ERF Freighters and 12 777-200LRF freighters as the world’s largest air cargo carrier continues to invest in the industry’s most capable freighters to better serve its customers. Franco-Dutch maintenance provider AFI KLM E&M has received FAA approval to provide on-wing and on-site services for CFM LEAP engines. The scope of that work may include engine build-ups, borescope inspections, or changing line replaceable units. “AFI KLM E&M is now approved to offer its services to all operators of the LEAP-1A and LEAP-1B engines equipping the A320neo and the Boeing 737 MAX worldwide,” says Anne Brachet, EVP of the MRO provider. AFI KLM E&M already has similar approval from EASA and while that certificate is more relevant given the company’s far bigger line maintenance presence in Europe than the US, the FAA award is further demonstration of its commitment to new technology engine maintenance. 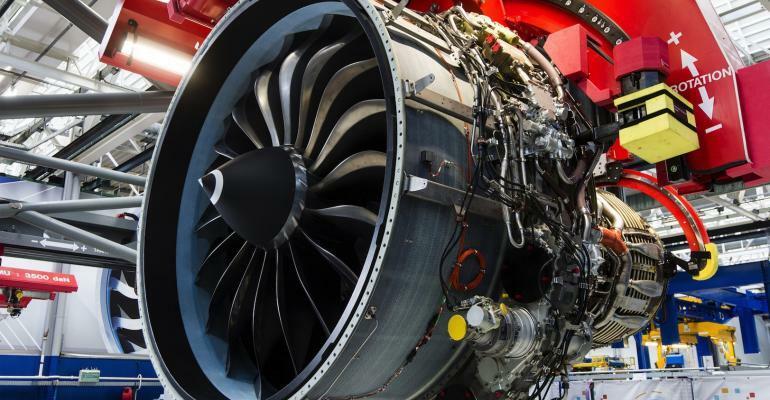 Motivation for this comes from the current wave of overhaul demand stemming from the LEAP’s predecessor, the CFM56-5B/7B, which was a key element of AFI KLM E&M’s sales last year. LEAP overhauls will only occur from 2019 onwards and it will take significantly loner for LEAP maintenance demand to overtake that of the CFM56, but in the meantime, there will be plenty of lighter maintenance work. “We’re establishing capabilities first and foremost inner own shops, on the GE side and the Safran side, but also, when customers are interested, we are working with third-part MRO providers,” CFM’s Alan Kelly told Engine Yearbook 2018. Airbus was dominant in capturing single aisle orders for their A320 and A321 and the new A220 airliners, Boeing did not do so bad on their MAX line up either. Boeing, on the other had, was dominant in capturing both the twin aisle and the cargo market. The 777-200LRF captured orders from DHL, Cargo Logic and Qatar. The so-called dead 747-8 Freighter continues to stay alive. Of the total orders commitments announced during the air show, 1,263 order commitments, plus 201 options. In summary, Boeing said on Thursday July 19th, it had won 528 new orders and commitments at the show, buoyed by demand for freighters as air cargo markets rebound. Airbus said it had won 431 new orders and commitments, including 60 for its newly rebranded A220, former Bombardier Series. Not covered much during the show are the deals Boeing Global Services and Boeing subsidiary Aviall announced during the show. Overall a successful show, the opinion of this writer. Prior to the opening of the Farnborough Air Show, It was announced that Boeing is the most powerful brand in aerospace and defense. That claim hardly was surprising, given that it is also the biggest company. In fact, according to a new survey by brand valuation and strategy consultancy Brand Finance, the top 10 most valuable brands in the industry belong to 10 of the largest businesses by turnovers ranked by Flight Global’s Top 100. However, what is revealing is that Brand Finance reckons Boeing’s brand is worth just short of $20 billion; more than $3.5 billion more than it was valued at in 2017, and almost $9 billion than arch-rival Airbus. The increase in Boeing’s brand equity is down to several factors says Brand Finance consultancy. These include that it passed the 1,000-order mark with the 787; commenced production of the 777X, and just as the report was being published, announced its new venture with Embraer on commercial aircraft. Source : Flightglobal/Brand Finance Consultancy.